Some days ago Huawei sent a new update on Huawei P10 Plus. Latest B186 nougat update is now available for P10 Plus. We provide official firmware with EU CUST file link bellow. Today we share with you EMUI 5.0 For Huawei P10 Plus B186 Nougat update for the European variant device. Let’s some talk about the device. The Huawei P10 Plus run 2.4GHz octa-core HiSilicon Kirin 960 processor, and it comes with 4/6 GB of RAM. Internal storage is 64/128GB. It has 5.2 LTPS IPS LCD capacitive touchscreen, with a resolution of 1080 x 1920 pixels. This device has Dual 20 + 12-megapixel camera and 8-megapixel front camera. It has a Non-removable Li-Po 3750 mAh battery. This update will improve your device’s performance and stability to bring you a better user experience. Many users till now don’t get this update via updater app, so if you want to update your device manually, then you are the right place. 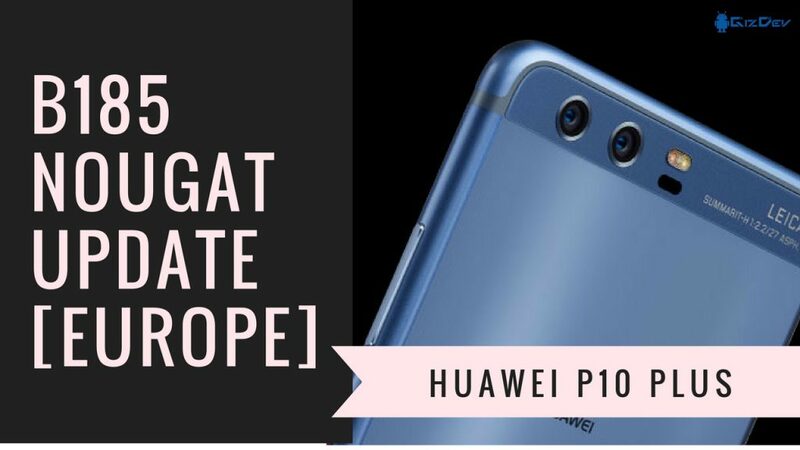 Here the guide and B186 link for Huawei P10 Plus VKY-L09/L29 European version. This firmware flash by stock recovery. First, unroot of your device and then follow posted flashing method. Huawei P10 Plus B186 Nougat Update which is build number VKY-L09C432B186/VKY-L29C432B186. If you are new in this process then, please first read the following step. This firmware work only Huawei P10 Plus VKY-L09/L29 variant, do not try other version devices. After flashing process did your phone automatic reboot. Download ” update_full_VKY-L09_hw_eu.zip ” file. In recovery menu click Install button. Then navigate to the Update.zip file, which you downloaded before. After the process is done. Then flash CUST and Public file (same step). Then Reboot your device & enjoy. If you like the post don’t forget to share it. Also, like our Facebook page for instant updates.